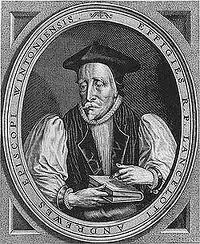 September 25th is Lancelot Andrewes’ Day, when the Church remembers one of its greatest preachers and the man whose scholarship and gift for poetic phrasing was so central to the making of the King James version of the Bible. This Sunday, 25th, at 3pm I will be preaching at Southwark Cathedral, where Andrewes is buried, at a special Festal Evensong to commemorate him. My own Doctoral thesis was on Andrewes and he has exercised a huge influence on me. 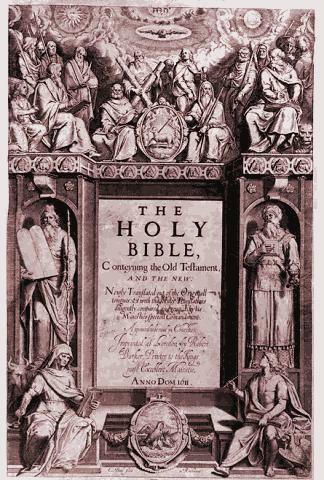 On the 400th anniverseary of the KJV I gave a lecture for the Society for the Study of Biblical Literature on Andrewes and translation which was published in this book The King James Version at 400. But I have also published a sonnet for Andrewes in my recent book for Canterbury Press The Singing Bowl, so here it is. As usual you can hear the poem by clicking on the title or the ‘play’ button . Seeking the light in which we see the light. And shine in Christ unto the rising day. I also gave a talk about Lancelot Andrewes and the translation of the King James Bible to the Chelmsford Cathedral Theological Society which various people have asked to hear. They have sent me a recording which I am posting here. The talk itself doesn’t start until about three minutes into the recording and last for about 50 minutes with a question and answer session afterwards.